A traditional herbal medicine product for the relief of backache, rheumatic or muscular pain and general aches and pains in the muscles and joints. Based upon long-standing use as a traditional remedy. Devil's Claw (Harpagophytum procumbens) belongs to the sesame family (Pedaliaceae). Its spiny fruits give rise to its common names "Devil's Claw". 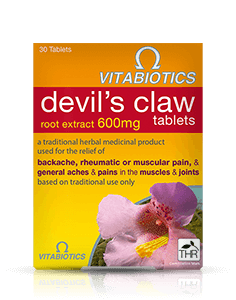 Devils Claw has a long history of traditional use and is most popularly used for the relief of backache, rheumatic or muscular pain and general aches and pains in the muscles and joints. Each film coated tablet contains 600mg of extract (as dry extract) from Devil's Claw root (Harpagophytum procumbens D.C. and/or H.zeyheri L. Decne, radix) (equivalent to 2100mg-3000mg of Devil's Claw root). 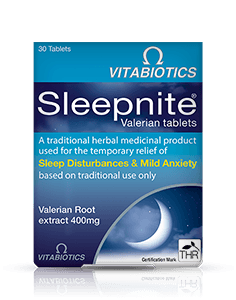 Sorry, this herbal medicine is not available from Vitabiotics.com. 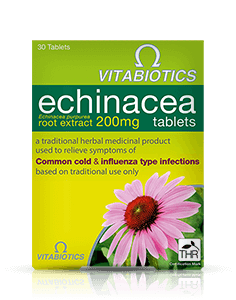 Available from Boots and Holland & Barrett. (equivalent to 2100mg-3000mg of Devil's Claw root).